Over the past few years, there has been an abundance of documentaries focusing on what humans are putting inside their bodies. Thanks to the help of the internet, I have come across a slew of these kinds of films. There was none more informative than, “Food Matters”, that was released back in 2008. What I think puts this film apart from the others, especially for me, is that it focuses on the need to stop relying on pills, shots and creams for every problem. It was good to hear that because the Western culture has become a tad bit pill happy as of late. There seems to be pills for just about everything imaginable, even for things like having fun and laughing too much. There is a definitely a time and place for those kinds of approaches but not for chronic, lifelong issues. Throughout the roughly hour and a half movie, you start to see that all the interviewees come to the same conclusions…proper nutrition and exercise is the key to a healthy life. It seems like a rather simplistic notion but how many people truly understand what that really means? The other parts of the film went on to talk about how our food is being cultivated. How many people are aware that a good portion of the fruits and vegetables, in all the major supermarkets, are being sprayed with synthetic chemicals, pesticides and herbicides. I didn’t realize that until I saw this movie and I’m glad that I found out now and not later. 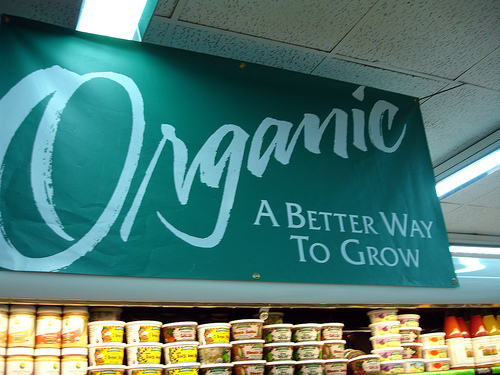 According to the Organic Valley website, a good number of pesticides are known to pose significant, acknowledged health risks to people—including birth defects, damage to the nervous system; disruption of hormones and endocrine systems; respiratory disorders; skin and eye irritations; and various types of cancers. Organic Valley goes on to state that organic growers use biological and cultural practices to handle pests, including crop rotation, the selection of resistant varieties, nutrient and water management, the provision of habitat for the natural enemies of pests, and release of beneficial organisms to protect crops from damage. A few years back, when I first saw this amazing documentary, I started to shop at specific grocery stores and only looked for the organic labels. They might cost a little more but my thinking is that I would rather put something in my body that does more good than harm. “Nowhere to Hide: Persistent Toxic Chemicals in the U.S. Food Supply,” by Kristin Schafer, Pesticide Action Network North America, 2000 (www.panna.org).